Dylan Ly recently finished his freshman year at the University of Washington in Seattle; he is studying biotechnology. Together with his brother and sister, Dylan was raised by his mother on the East Side of Tacoma, Wash., an area with a tough history of poverty and crime. Kaylani Mitchell is working toward an associate’s degree in nursing at Tacoma Community College; later, she intends to transfer to University of Washington to get her bachelor’s. Kaylani has known for many years that she wanted to get a four-year degree and go into nursing, but she always worried about how she would pay for college. Dylan’s and Kaylani’s prospects of attending — and affording — college got a critical boost when they were awarded a state-funded scholarship for students in the STEM (science, technology, engineering, math) and health care fields. They both applied for the Washington State Opportunity Scholarship because their counselor at Tacoma’s Mount Tahoma High School was part of a community-wide effort to bring more of the scholarship funds to local students. 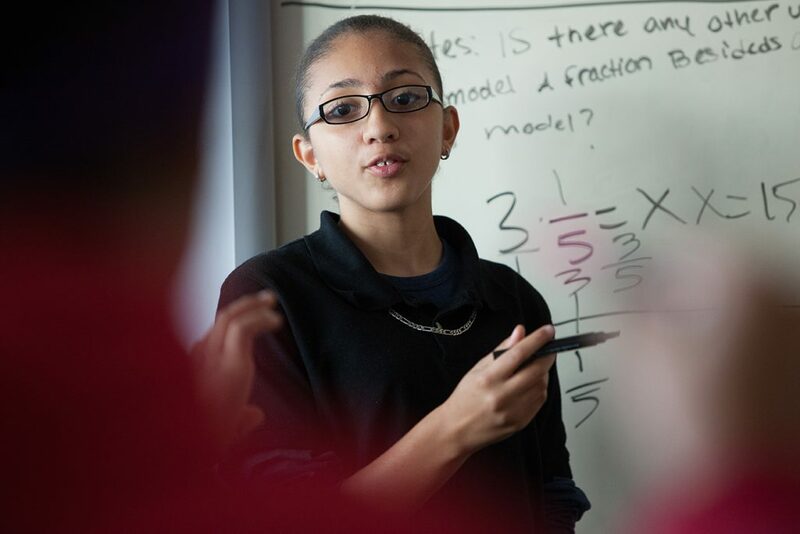 The work is led by the STEAM Learning Network at Graduate Tacoma, a StriveTogether Cradle to Career Network member. (Graduate Tacoma added an “A” to the STEM acronym in a nod to the vibrant local arts community and the creativity inherent in all STEM fields.) Working together, Graduate Tacoma and its partners have made Mount Tahoma High School top in the state in applications and awards for the scholarship. Washington lawmakers created the Washington State Opportunity Scholarship in 2011 to help address two urgent challenges: College and university tuitions in the state were rising, pricing out many students and their families; and the state’s burgeoning STEM and health care industries were struggling to find new hires with the requisite skills and education. The program supports students from low- and middle-income families to attain postsecondary degrees in high-demand fields, with scholarships of up to $22,500. During the first few years after the scholarship became available, Tacoma students were not taking full advantage of this new source of college funding. 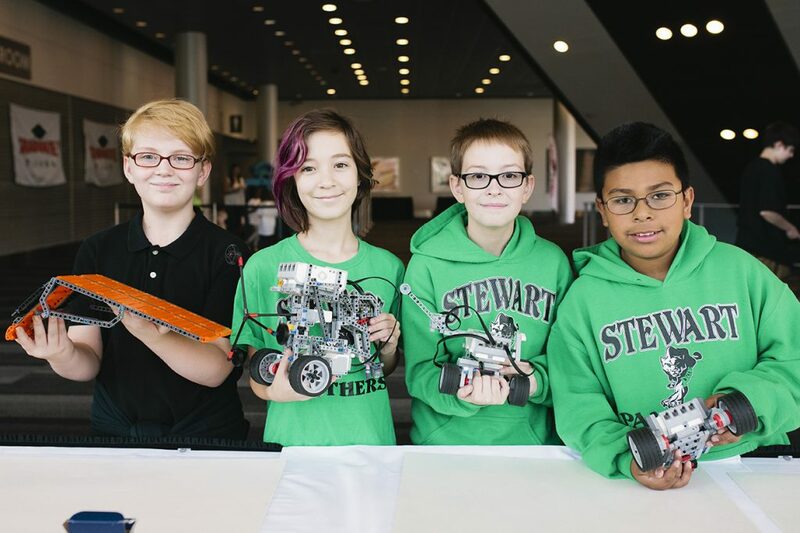 “We realized we were leaving a lot of money on the table, and kids were missing out on a great opportunity,” said Graduate Tacoma STEAM Network Manager Kyle Roffler. 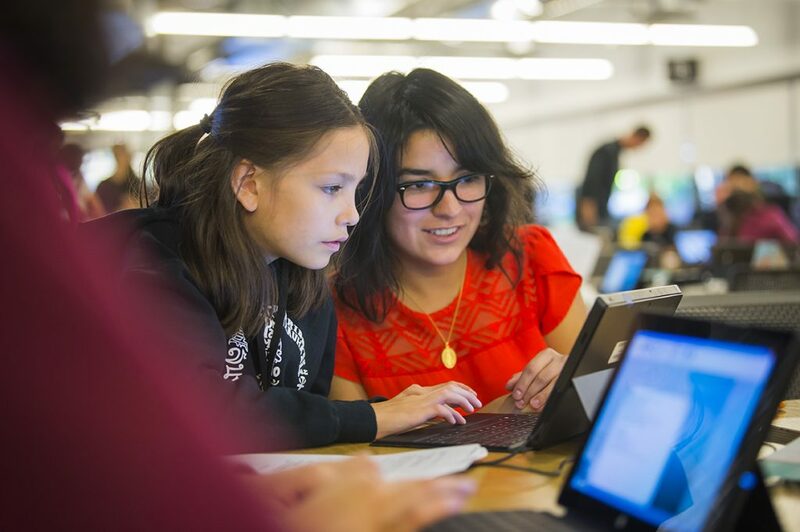 Seeking to help local students access more of the funds, Graduate Tacoma teamed up with the Washington State Opportunity Scholarship and a statewide nonprofit, Washington STEM. In December 2016, the partners hosted an afterschool training session where 19 people, including the college and career counselors from all five of Tacoma’s comprehensive public high schools, learned more about the program and how to boost students’ applications and awards. Participants, referred to as “champions” for the scholarship, also received promotional posters and flyers to use in their buildings, along with a reimbursement form for up to $250 to host workshops and other events for students and families. With a diverse student body and a large number of students from low-income families, Mount Tahoma was ready for a targeted effort to promote the scholarships. Phillips said she relished the opportunity to help more kids make their way to college. Working with a number of school and community partners, she kicked off the campaign with an afterschool party in the career center at the school. With Mexican food and cookies as an incentive, the party was an opportunity for students to learn about the scholarships and work on their applications. “We wanted to create a fun, celebratory environment with lots of people offering help and encouragement for students,” Phillips said. She specifically credited her colleagues from the College Success Foundation, a statewide nonprofit that places student advisers in many high schools, as critical partners in organizing the event and ensuring the success of the campaign. Phillips also sent an invitation to apply for the scholarship to every student whose GPA and family income made them eligible. “The message we wanted to send was, ‘Congratulations, you have this great opportunity, now come see me if you want help,’ ” she said. In other activities to generate more scholarship applications, Phillips met with English teachers to enlist their support. Some ended up setting aside class time for students to work on their applications, while one teacher turned the scholarship essay into an all-class assignment. The Washington State Opportunity Scholarship also was mentioned regularly in all-school announcements during the application period in January and February, with regular reminders about application deadlines. “We wanted to blanket the school with information and offers of support so they really couldn’t ignore this opportunity,” Phillips said. To make Phillips’ job easier, Graduate Tacoma has an information-sharing agreement with the Washington State Opportunity Scholarship that allows access to data on student applications. Each week during the application period, Roffler sends information to Mount Tahoma and the other high schools about which students have applied so far. “That was incredibly helpful because it meant I could follow up individually with students who still hadn’t applied,” Phillips said. Thanks to all of these efforts, Mount Tahoma students earned the distinction of submitting the most applications for the Washington State Opportunity Scholarship of any school in the entire state in 2017. The total for the school was 72 applications out of a senior class of about 350. Of those students, 54 were selected for scholarships — also the highest total in the state. Overall, 207 students in Tacoma public schools submitted applications; this was 9 percent of graduating seniors, the highest proportion of applicants from any school district in the state. Of these, 132 students were selected for the scholarships, making them eligible to receive up to $2.96 million throughout their time in college. 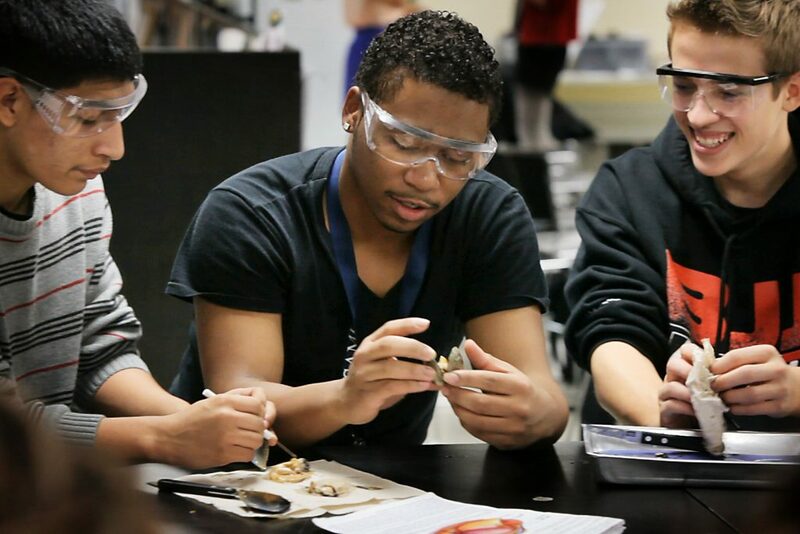 “Graduate Tacoma understood through data that one-on-one scholarship application support increased student applications and acceptances [for the scholarship],” said Washington STEM CEO Caroline King. During the 2017-18 school year, Graduate Tacoma built on the prior year’s success by training twice as many champions to educate students about the scholarships and provide support for their applications. In addition to counselors and other school personnel, the 40 champions for 2017-18 included representatives of community agencies working with students and their families, such as out-of-school-time providers and organizations working with foster youth and the homeless population. “We’ve really tried to broaden the base for this work in a big way, and it’s created a lot of buy-in and excitement across the community,” Roffler said. For the 2017-18 school year, Mount Tahoma High School once again topped the state in applications (94) and awards (59). “Hats off to Angela and everyone at Mount Tahoma. They are just doing an amazing job to generate a lot of excitement and interest in this program,” Roffler said. Among all Tacoma public school seniors, 10 percent applied for the scholarship in 2017-18, the highest percentage in the state yet again. 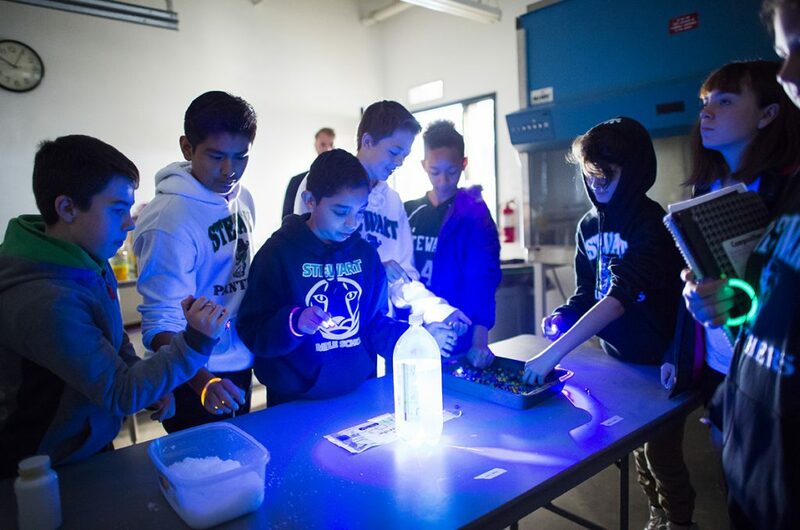 The Washington State Opportunity Scholarship campaign is part of the Tacoma STEAM Learning Network’s broader effort to expand opportunities for local students in the STEM subjects and the arts. In addition to school officials, network members include a range of local organizations and institutions, such as the local technical college, environmental organizations, the public library, the local art museum and trade unions. 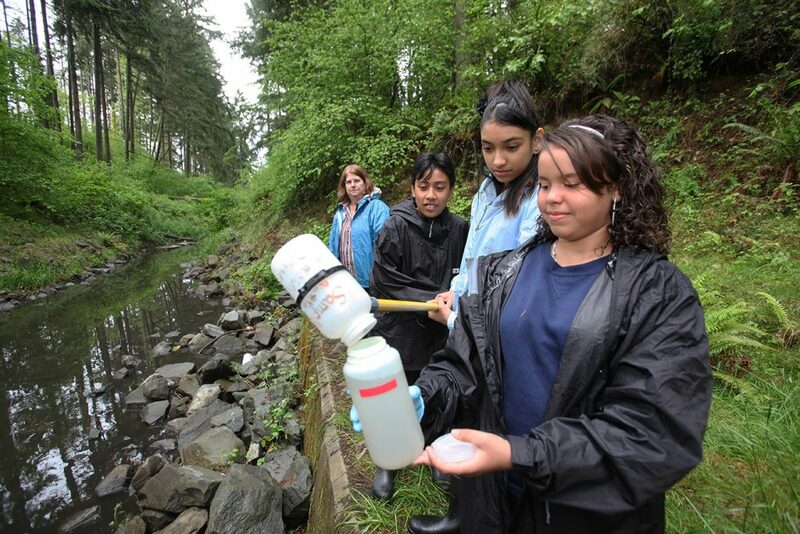 Together, the partners have mounted a high-profile community awareness campaign featuring Tacoma Public Schools graduates working in STEAM fields. They’ve also created a directory of STEAM experiences and programs available to Tacoma students. “We are working to change mindsets throughout this community about opportunities in these fields, particularly for students who face the biggest obstacles to continuing their education,” said Roffler, who manages the collaborative for Graduate Tacoma. The scholarships work also is part of Graduate Tacoma’s broader effort to create a college-going culture in the city’s schools. Together with local school officials, the organization has undertaken a variety of activities to lift the community’s expectations of what children can achieve and to expand access to financial aid and scholarships. As a result of this work, record numbers of local students are taking college-credit-eligible classes, completing the Free Application for Federal Student Aid (FAFSA) and signing up for a state program, College Bound Scholars, that provides financial aid to eligible low-income students who complete the scholarship pledge while they are in seventh or eighth grade. In Tacoma’s public schools, 60 percent of the student body is students of color. Mount Tahoma graduate Dylan Ly said he is inspired by his hometown community’s commitment to supporting students like him to pursue their college and career dreams. He’s also relieved that he was selected for the Washington State Opportunity Scholarship. What changed in Tacoma, Washington? Between 2016 and 2017, applications for the Washington State Opportunity Scholarship by Tacoma students jumped by more than 60 percent, from 130 to 207. Tacoma Public Schools led all other districts in the state in the percentage of scholarship applications from graduating seniors (9 percent). The 132 scholarship winners from Tacoma high schools’ Class of 2017 have access to more than $2.9 million in the course of their college years. Mount Tahoma High School on the South End of the city had more applications and awards than any other high school in the state in 2017, with 54 students winning up to $1.2 million in scholarships. For 2018, the gains continued with Mount Tahoma once again beating all other schools in applications and awards. In 2018, 10 percent of Tacoma seniors applied for the scholarship, which was once again the highest percentage of any school district in the state. Support your champions. Graduate Tacoma identified and recruited individuals to serve as ambassadors (or “champions”) for the scholarship campaign, and supported them in their work with students. Money talks. Giving each of the champions $250 to support workshops and other outreach (along with collateral materials like posters) made it easier for them to lead the effort. Sharing data does wonders. With Graduate Tacoma providing up-to-date data on applications, schools could target their efforts toward those students who had not yet applied and offer added support to students who began the application but had yet to complete it. Food always brings people in. Mount Tahoma High School and other schools used some of their funds to purchase food as a draw for events where students could get application help. Broad outreach + one-on-one support = success. Graduate Tacoma and its partners built awareness of the scholarships through broad outreach and promotional efforts, while providing students with individualized support to complete their applications.